These Are My Five-Star Barbecue Beef Ribs. 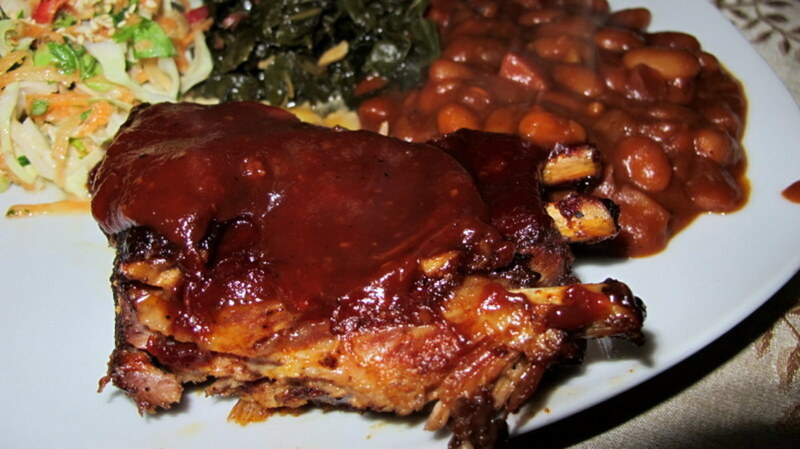 Pork ribs are pretty ubiquitous. 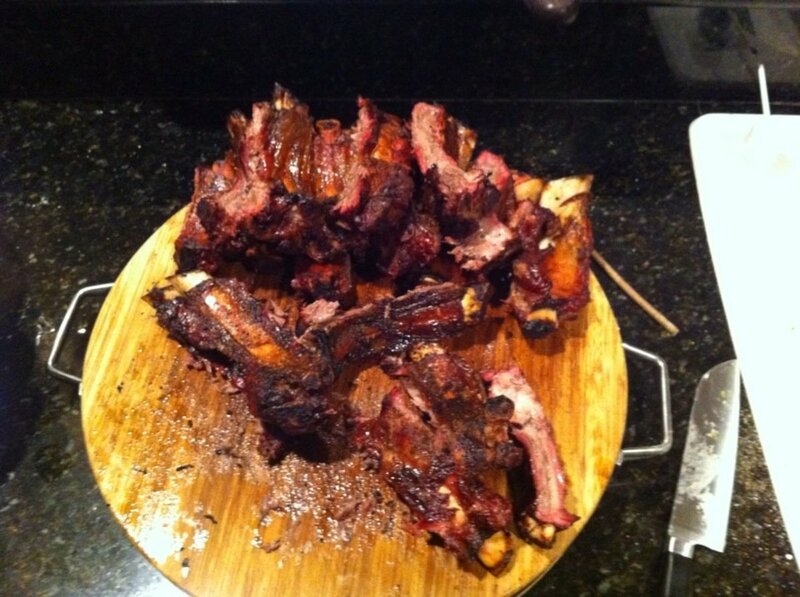 However, it's pretty uncommon these days to go to a barbecue where barbecued beef ribs are served. They should be served more often because they're fantastic! If you want to do something a little different that's very easy to barbecue and very delicious, I suggest giving beef ribs a try. Cooking up this somewhat uncommon dish is a breeze. All you need is a slab of beef ribs, an easy spice rub recipe, a barbecue, and time to cook them at a low temperature for a few hours. Make your spice rub. I prefer 1/4 cup of garlic salt, 1-2 tablespoons of freshly cracked pepper, and 2 tablespoons of black truffle salt. Mix your rub by putting all of your desired ingredients together in a bowl, and then mixing gently with a fork or whisk. 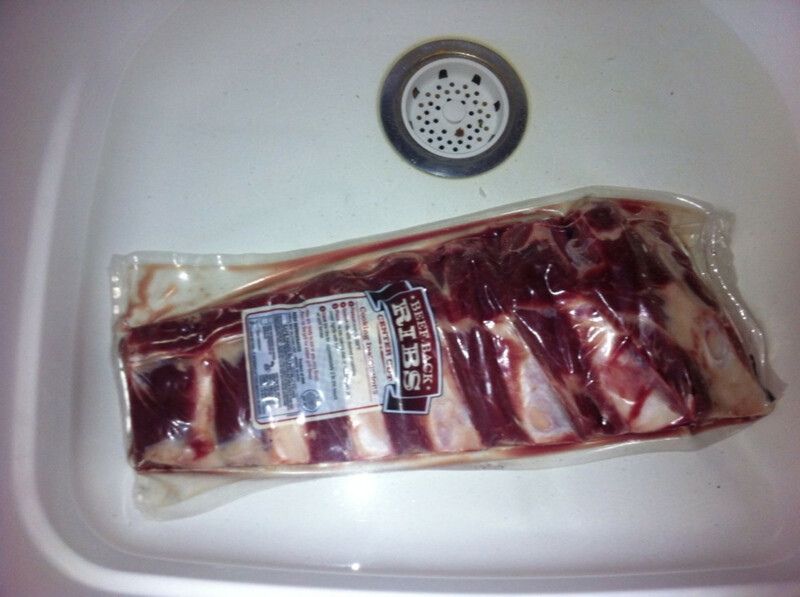 If your ribs were frozen, leave them in the plastic package, set them in a container of warm/hot water, and let them defrost for 15 minutes or so. Get your grill up to temperature. Meanwhile, season your meat liberally. Put the meat on the grill. I've found that cooking the ribs at 275C for 45 minutes per side results in a succulent and well-cooked piece of meat. I start cooking with the bone-side down. You may want more information depending on what kind of grill you're using. If so, read Step Three's more detailed instructions below. 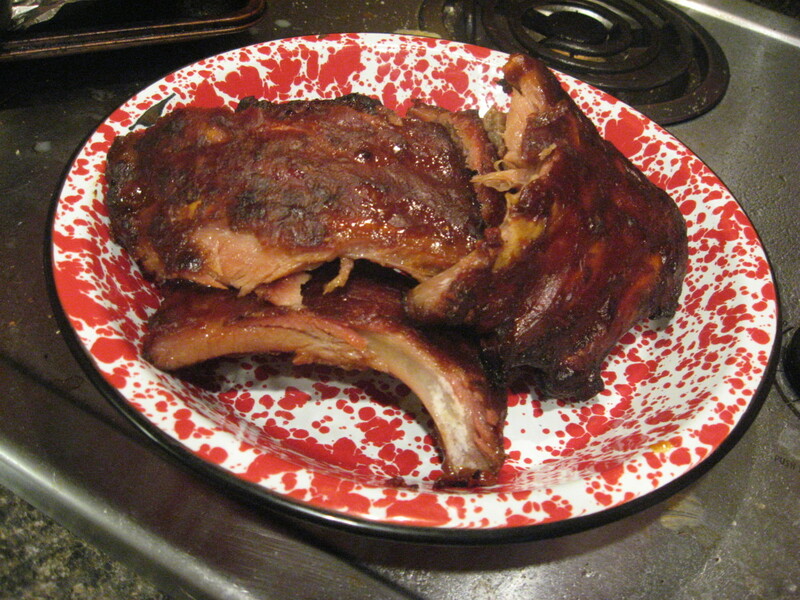 The ribs are done cooking when they slide off the bone easily and are no longer pink. 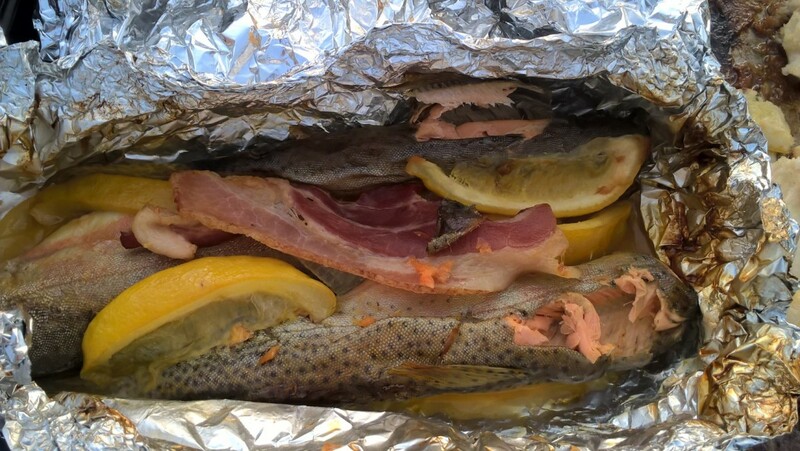 Once they're done, pull them off the grill, slice them up, tent them (place them in a container and cover them with tin foil), and let them rest for at least 20 minutes. When it comes to beef ribs, I think a simple dry rub recipe that provides a good salty flavor is best. I love the truffle salt flavor. It makes a more gourmet rib. Most truffle salts come as a mix of truffle and sea salt, which is more course than table salt. A very simple way to season ribs is cracked black pepper and truffle salt sprinkled generously on top and rubbed into the meat. Step Two: Defrost Your Ribs. Step Three and Four: Heat Up Your Grill and Season Meat Liberally. After your ribs are thawed out, season them liberally with your dry rub, and then let them sit while you start your barbecue fire. 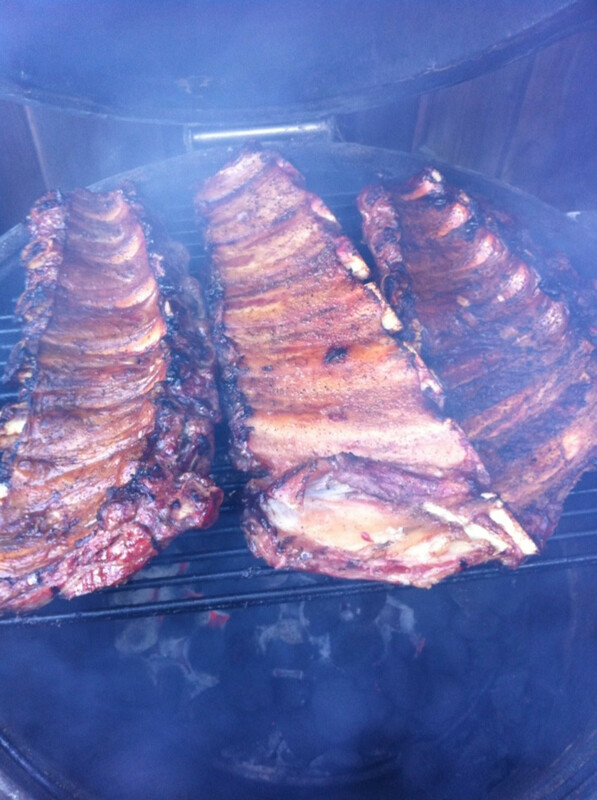 When it comes to cooking beef ribs, it's best to cook them at a low temperature with smoke for a long period of time. My favorite way to cook them is over an oak fire, but they will be tasty if they are cooked on a gas grill or over charcoal. I target my grill temperature to 275 degrees. Once the grill's heat is stable, I put the beef slabs on the grill with the bone side down. The ideal rib cook takes about 1.5 to 2 hours. I use an indirect fire in my grill and cook the ribs for 45 minutes to one hour bone side down, then I flip them and cook them for another 45 minutes. The long-cook will help make the meat tender. This particular cut is pretty fatty, so it won't dry out easily. 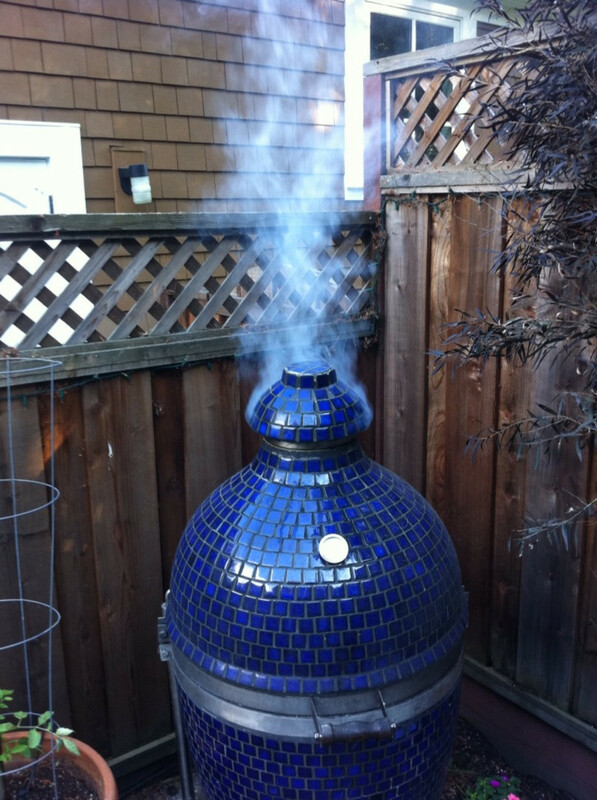 To cook beef ribs really well, you have to be able to control the temperature, and you need smoke to get a great flavor. If you cook on a charcoal or gas grill, get some wood chips (hickory or apple). Additionally, make sure your grill sits high enough above the heat source so that the fat drippings don't start a grease fire. Gas grills are particularly prone to grease fires, so you may want to place the meat on one side of the grill and turn the heat on the other side to prevent flareups. Grill the ribs at a lower temperature and have a cup of water ready just in case a grease fire starts. Dowse a little water on the flames, and put the ribs in a section without a direct flame if it does happen. Step Five: Get the Meat on the Grill. Smoke and Long, Low Heat Make for Great Ribs. This Is About What They Should Look Like When You Turn Them Over. Looking Delicious and Almost Done! Step Six: Tent and Let Rest for 20 Minutes. Step Six: Tent and Rest. Check Doneness: Once the ribs are finished cooking, you can tell because they should slice easily and be tender. If they're still pink on the inside, they probably need to cook more. It's pretty hard to overcook beef ribs, so when in doubt, cook longer. You can always slice off a rib and taste it to see if you want them cooked longer. 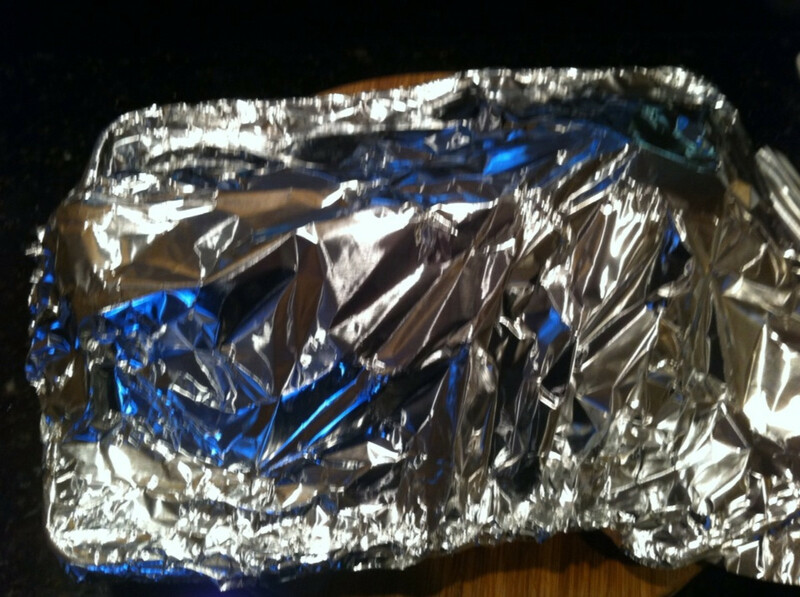 Tent and Rest: I pull the rib slabs off, place them on a sheet, and tent with tinfoil. I like to let them rest for at least 20 minutes before slicing them up. Slice: When I cook for a lot of people and have more than three slabs, I'll use an electric knife to slice them, but usually, I use my sharpened butcher's knife. Pair: One of my favorite beef rib dinners includes baked potatoes, fresh French bread, asparagus, and a savory salad. To drink, I recommend a big red wine like a Cabernet Sauvingon, Syrha, or Zinfandel. For dessert, fresh-made chocolate chip cookies, homemade ice cream, and/or a wet cappuccino are some of my favorite accompaniments. Where Can I Find Beef Ribs? When I go to the butcher, I have to ask for beef ribs because they aren't on display. They usually go back to the freezer and bring me back some. Each rack will feed about two to three hungry people. 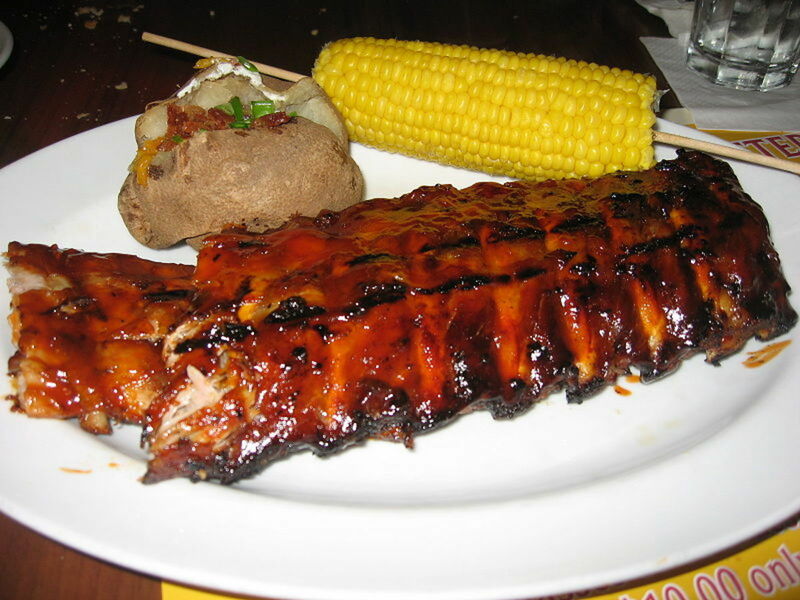 There's nothing to worry about with frozen ribs. They can be thawed out in about 15 minutes in a sink where they are covered in hot water. Just put the vacuum-packed cut in hot water, and let them sit for 15 minutes. Sometimes the butcher won't have any frozen ribs, but they come from the rib roast. My butcher will take an entire roast and cut off the entire slab of ribs. These taste just as good as the frozen ones, but sometimes the butcher charges a bit more for them. The butcher will tell you that baby back pork ribs have more meat on them, but they're smaller. 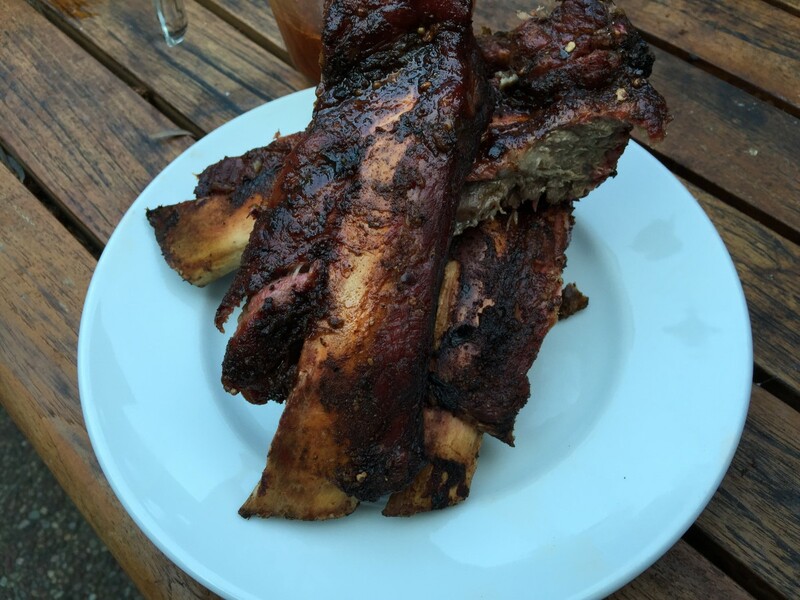 Beef ribs are much larger, so they have more bone. When I compare the amount of meat on beef ribs to baby back ones and the relative cost, I think the beef ones are the better deal. 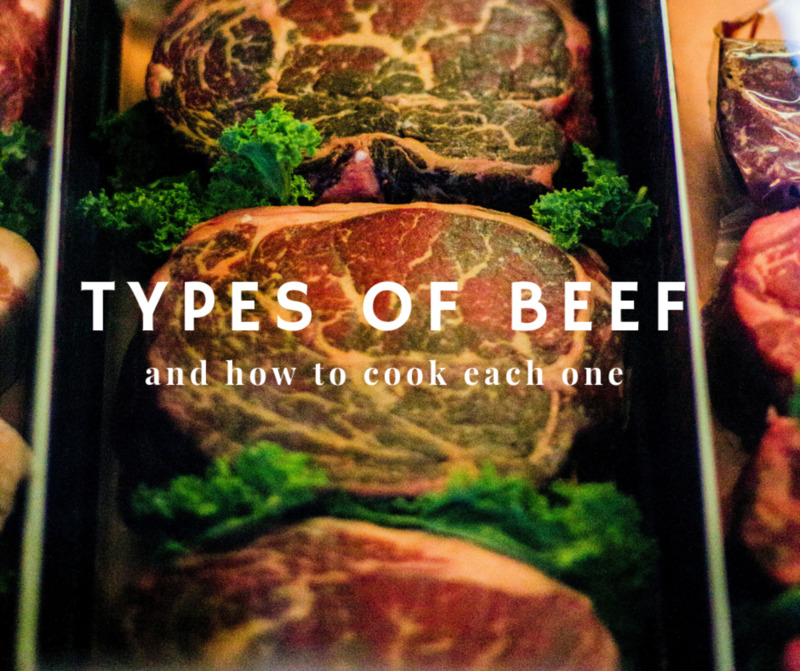 Our butcher charges under $3/lb for the beef, while the pork ones are over $4/lb. How do I know if this recipe is enough dry rub for 5 lbs of ribs? 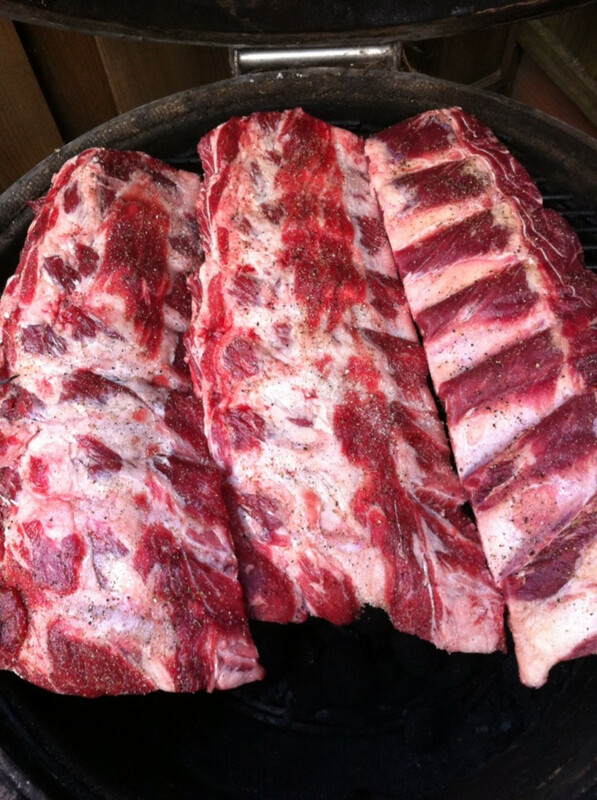 Racks of beef ribs are typically in the 5 lbs range. 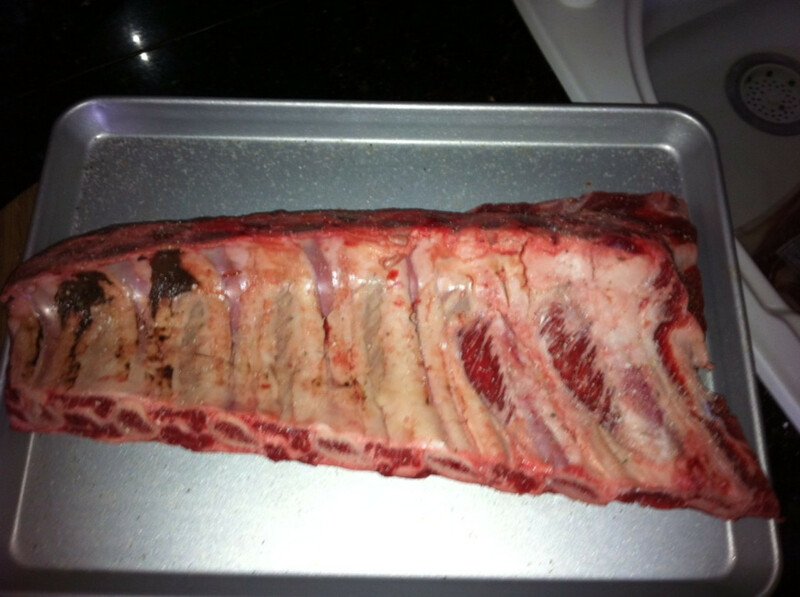 To properly season a rack, depending on personal preference you need about 1/4 cup of seasoning. 45 votes so far. Click a star to add your vote! Just noticed after cooking mine that Step 5 says 275C as in Celsius. 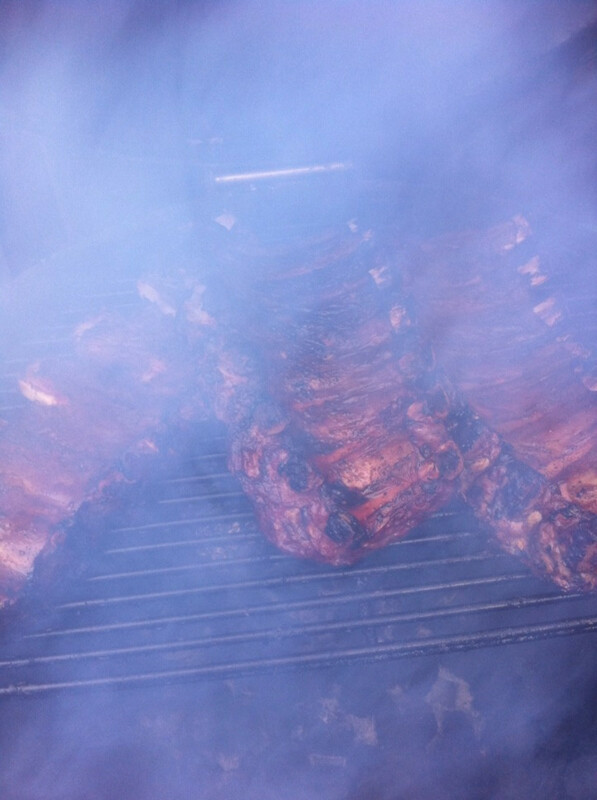 That would be over 500 Fahrenheit, which would have turned these ribs into ashes in 90 minutes! 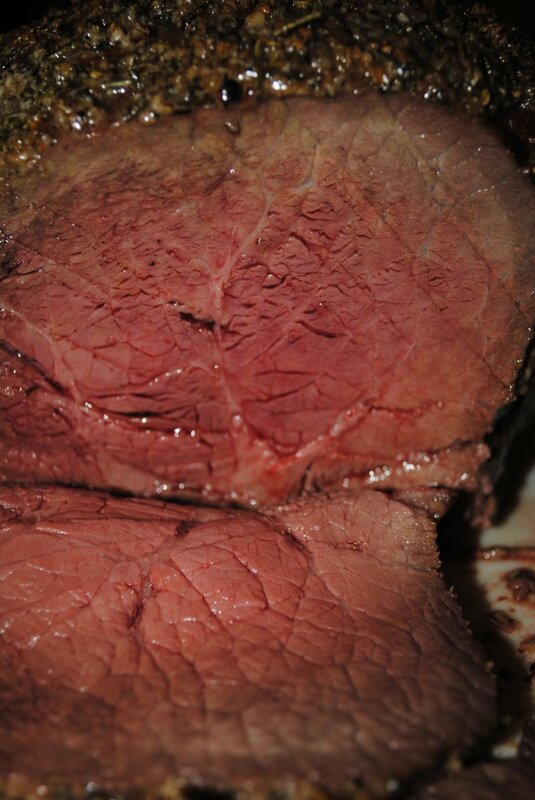 They were great at 275 F for 45 minutes per side though. Obviously a typo especially since everything else is in American measurements. Had a hard time getting the gas grill to stay at that temperature, seems like it wanted to be 250 or well over 300 but not in between. On a gas grill, indirect heat means that the food is placed over one of the burners that's turned off. Depending how your burners run (length vs width of the grill) it can influence which burner that's left off. On my Weber, the burners run the width, so I often turn the center burner off and put the two side burners on a low eat. This circulates the heat and is great for ribs and even chicken. I have a gas grill. What does indirect heat mean? I live in the Southwest part of the Country and amazingly enough it is almost impossible to find beef ribs, that are already prepared, unless it is a really expensive restaurant. The best and last smoked beef ribs I had was all the way to Texas. I make them at home, but I slow roast or bake them in the oven and I add a pot of coffee/couple of cups, to bring out some flavor. I don't have a BBQ or I would try your methods. Great hub, voted up! Wow! I love the recipe and I am going to buy those ingredients and prepare it by lunch tomorrow as my grandparents will come and visit my kids. Darn, reading this makes me crave for BBQ! I must try this. I'm trying to cut down on my salt, any alternatives anyone? Great tips for cooking beef ribs! I really like the advice to "cook more" if in doubt they are done. The idea of the truffle salt rubbed into the rib meat... well, I am already drooling. Summer BBQ-ing is always tops on our schedule and you can bet we will be adding your Barbecue Beef Ribs recipe to our list! Thanks for sharing Paul. Sounds delicious. It's a must try. A great recipe and another for me to bookmark. I enjoy beef ribs as well. I will either grill them over a gas grill at a low heat or season them and throw them on the smoker! I love to smoke ribs over a wood fire. It may take longer to cook, but it is well worth it. The recipe sounds excellent as does the suggested meal. 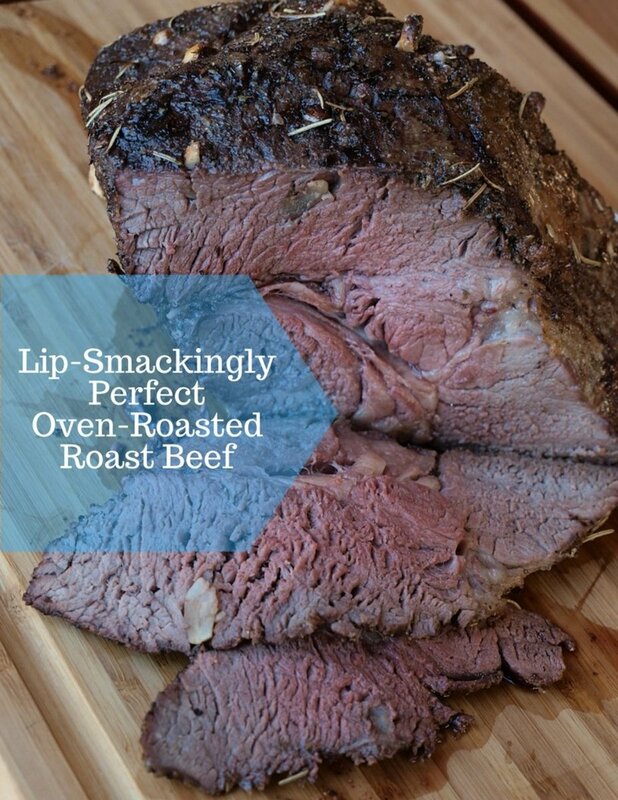 I will show this to my husband as he is the grill man and I think we will be trying this recipe. Voted/rated useful.